I will have to look for such wonderful molds - I didn't even know that they exist. The Feast of Saint Martin is one of my favourite feasts. They truly are beautiful, I need to order some of those molds. I know someone who prepared cookies for wedding guests using them and they were just lovely. These are just lovely! 9PeasMom, I did that very thing, made Speculaas cookies with these molds for my wedding guests. I just LOVE that idea! What mold did you use for your wedding? My sister raises bees and made some beeswax ornaments from some of these molds, too. Lovely! Thanks for sharing Jenn! Jessica, your cookies came out fantastic! 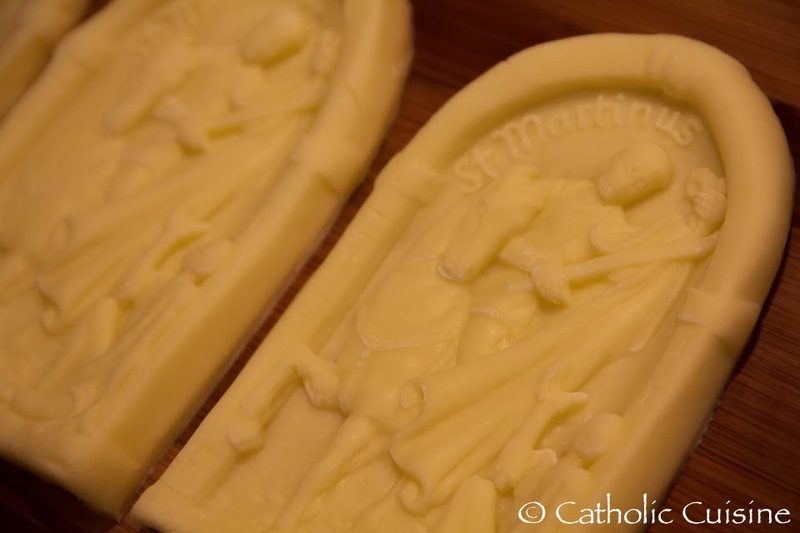 I love that St. Martin mold, it is on my wishlist. I recently made some gingerbread cookies using my molds, it was a dry run for Christmas cookies. I pressed the dough into the mold before baking. The images held beautifully and the taste of the cookies was wonderful. I'll send you the recipe along with the before and after baking pictures. 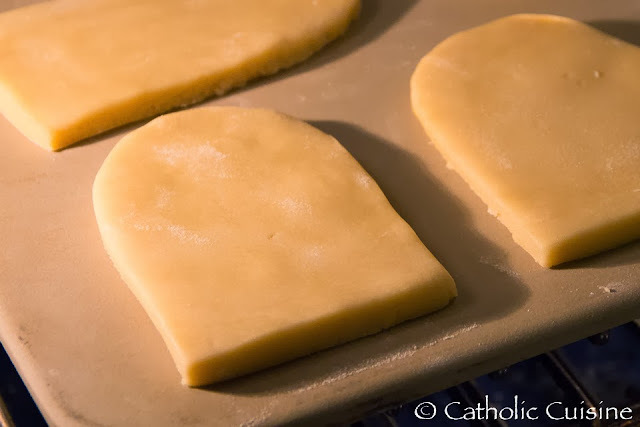 It is so hard to find a cookie recipe that can hold the image during baking. 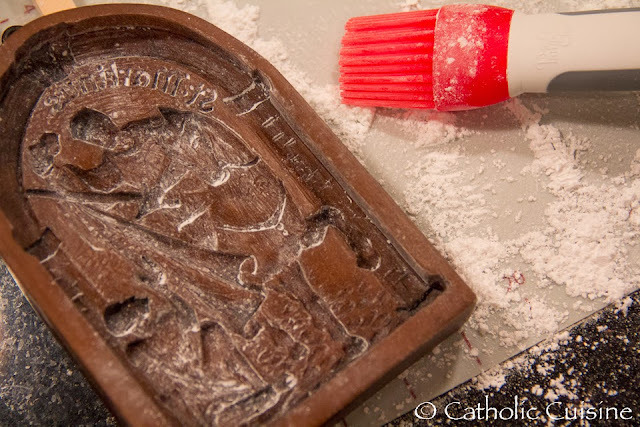 The beauty of the molds is that you can use them for more than just cookies or cake toppers. Any medium that can be molded and is non-toxic can be put in the molds. 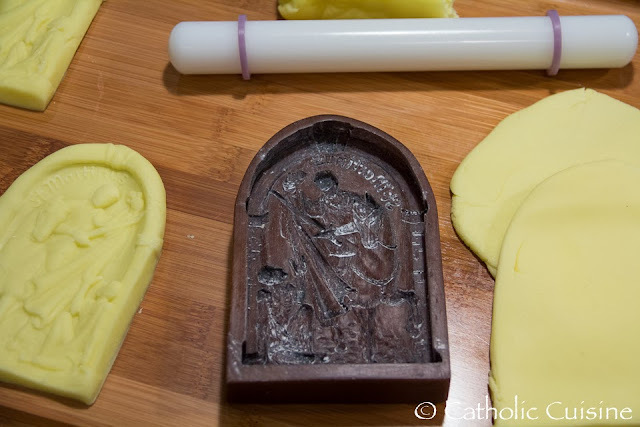 Ornaments can be made with air-dry modeling clay. Paper pulp makes beautiful molded images. I've even used Kleenex, a child's small paintbrush and water to make a paper casting of my molds. 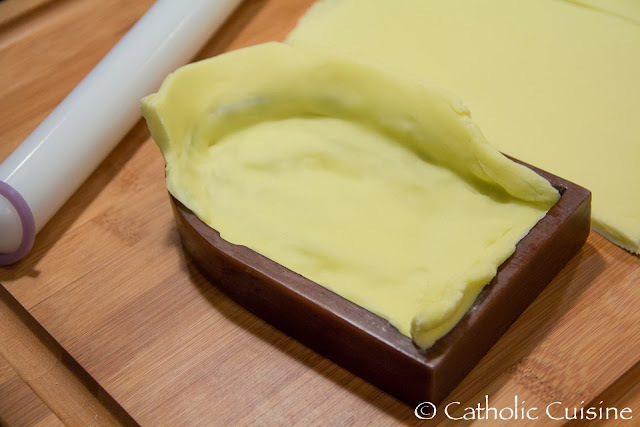 Deeper molds can be cast in 100% beeswax. The Springerle Joy website has a photo gallery showing all kinds of cookie mold crafts. The website also has how-to videos. House on the Hill also has a craft section on their website with written instructions. Thank you Lynne! There are so many options! It is going to be so much fun to experiment with them and all the different ways they can be used. As I just begin our collection I would love to hear what your favorite molds have been. Do you have other favorites that aren't featured in the All Saints Cookies or Rosary posts? I love my small Adoro Te heart from House on the Hill. It is a great size and can be used for so many occasions. House on the Hill also offers a custom cookie cutter for the mold. 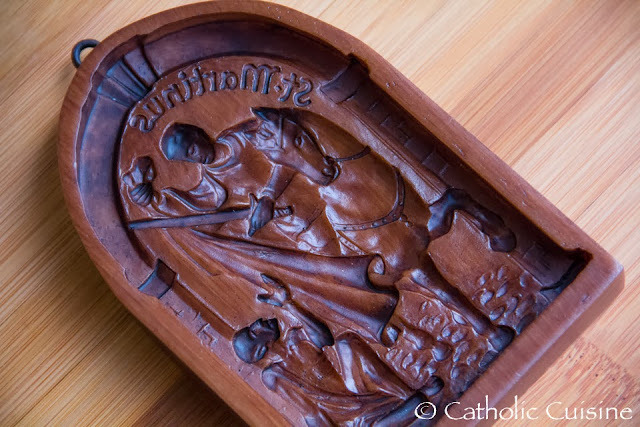 The Epiphany 3 Magi mold from House on the Hill is also one of my favorites. 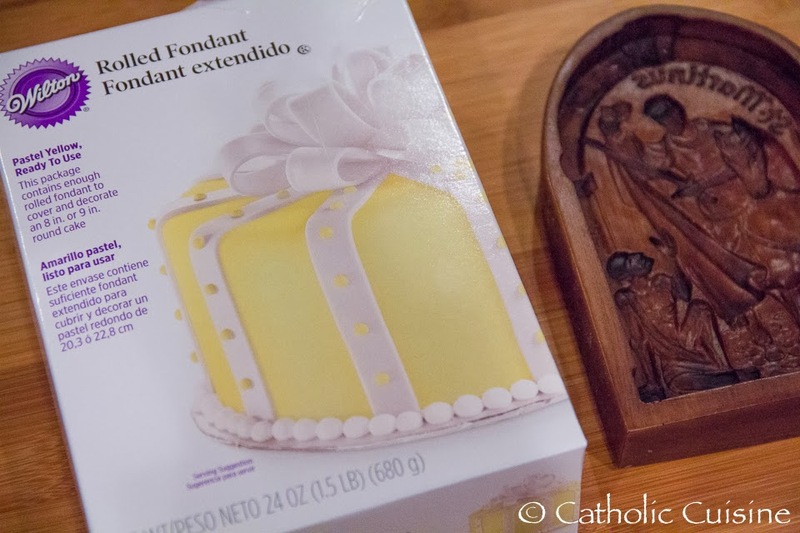 It is 7.5 inches in diameter so you can use it as a cake topper. The size also makes an impressive cookie. 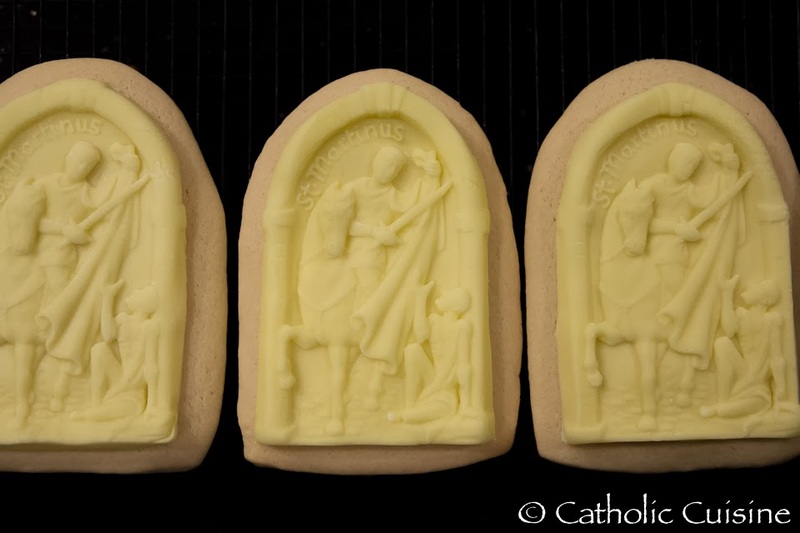 This Christmas I'm going to cover sugar cookies with the molded image in white fondant then paint the images on the fondant with gel food coloring. When rolling the sugar cookie dough for a cookie this size you should go thicker than 1/4 inch. For instructions on how to paint cookies and fondant go to the Springerle Joy website where there is a how to video. 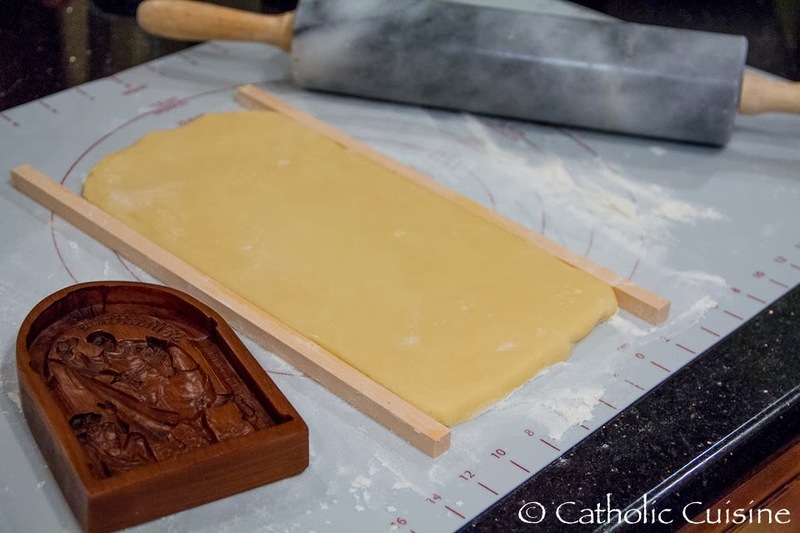 Because of the size of this cookie mold one cookie is a great Christmas gift for a whole family, even a large Catholic family! Lynneol, could you please post your "hold-the-image-during-baking" gingerbread cookie recipe for all us readers? I would love to try it! Be sure to let the dough chill overnight for maximum flavor. The Springerle Baker has the best gingerbread molds. If you purchase one ask Ken to make the mold clear for the extra $2.00. 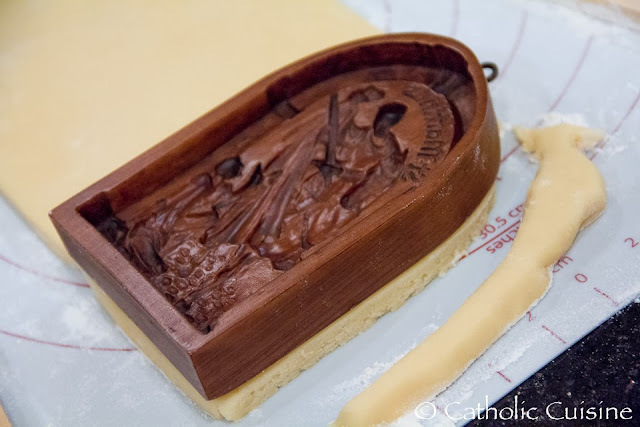 A clear mold allows you to make sure the dough hits the back of the mold so you get all of the details. Ken's molds are not made for beauty or display they are made for use in a professional baker's kitchen. Thanks for sharing the links! Your gingerbread cookies are great!! Beautiful! Love your photos and creations!